Don't trust others opinions. See it, hear it and touch it for yourself. There’s three golden words when it comes to buying any home cinema equipment: “demonstrate, demonstrate, demonstrate”…. Just as everyone’s DNA and fingerprints are different, so is how we hear and interpret sounds. No two people will hear identical audio characteristics from a particular AV receiver nor from the same speakers. What sounds harsh to one person can sound delightful to another. Likewise with visuals, some people will see “rainbows” in DLP projectors while others will not and that’s why a home cinema demonstration at Ideal AV is such an important part of your buying process. The latest award winners from the Hi-Fi magazines can never tell you how something will sound or look to you. The reviewers can only subjectively say how the equipment sounds to them. To know what works for you is to “demonstrate, demonstrate, demonstrate” and then demonstrate again. A home cinema demonstration is simply not an option; it’s a critical step. An Ideal AV home cinema demonstration is completely free and you’ll learn more in a couple of hours than countless days of opinion based internet research. It’ll be the best money that you never spent…. In order to make an informed decision on what’s best for you and your room we feel its important to come, see and hear the products before purchasing. The last thing we want is to buy equipment which doesn’t perform as you expected. Its always best to see, hear and touch the product for yourself first. 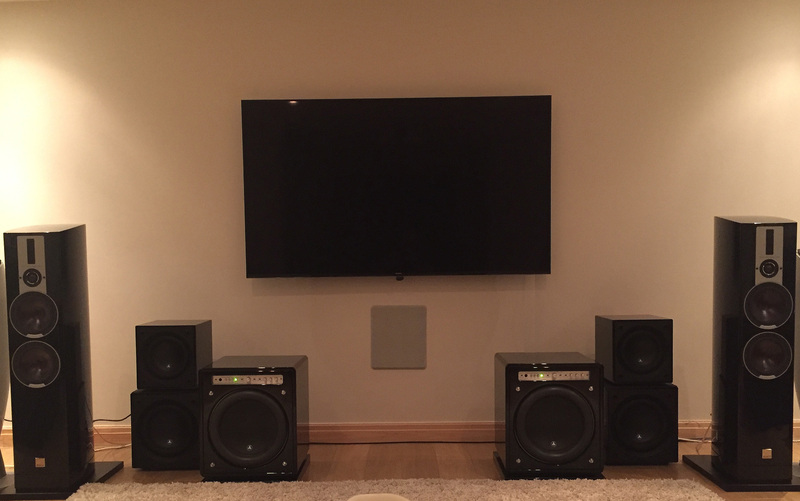 We welcome you to book a home cinema demonstration in a relaxed and friendly environment. No need to bring any money, our time is completely free. Customers are welcome to bring a selection of their favourite Blu-ray movie discs if they wish to, but we do have a varied library of over 300 full high definition 1080p movies ourselves to browse through including 3D. If you don’t mind viewing with others please let us know so we can arrange group visits to minimise interruptions; we want to keep all of our customers happy. 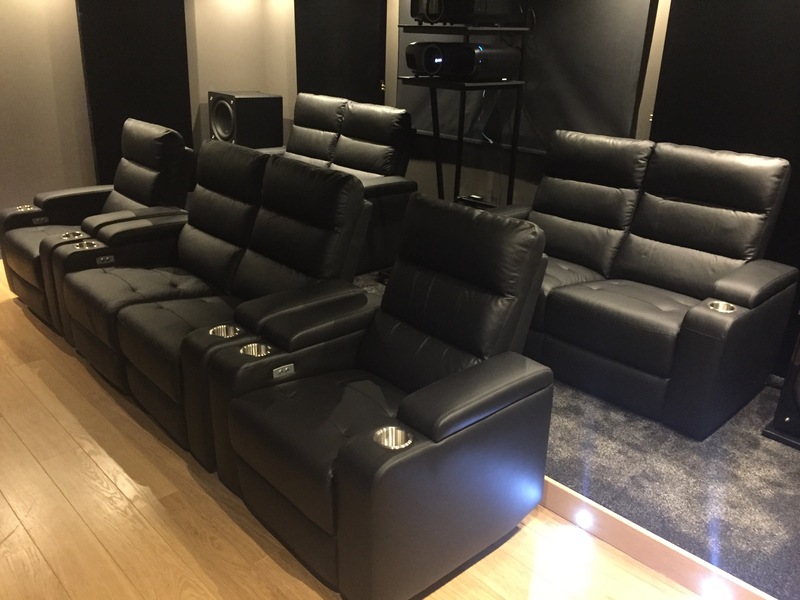 Likewise, if you’d like to book a home cinema demonstration outside of normal hours, we will do our very best to accommodate requirements as and when needed. We always try to meet your needs as that’s what our customers deserve. To cover all bases we have two distinct home cinema demonstration rooms. The Light Bright room which is designed to replicate everyday conditions in the normal lounge at home with lots of ambient light. The Dark room is for those with a dedicated room in “bat cave” conditions (completely light controlled). Whatever your environment, one of our home cinema demonstration rooms will be perfect. The kettle is always on, slippers are optional but you have to bring your own. Following on from some of the recent advances in projection screen technology, the “Light Bright” home cinema demonstration room was designed to show what’s now possible to achieve in average, every day living rooms. The walls are “Antique Cream” while the ceiling and lighting pelmet are both painted your expected white. Lighting is I-Light controlled dimmable LED’s all round. On the projection front we have Epson 7300/9300’s home cinema projectors ceiling mounted on a Tecniq close mount. The projection screen is a Draper/Euroscreen Sesame in-ceiling, recessed 108″ diagonal screen with the amazing ReAct 3.0 borderless fabric. Our speakers are of course from the legendary MK Sound. Across the front three we have the MK IW150’s & two IW95’s in front height positions and a further 4 x IW95’s for side and rear surround duties. Subwoofers on offer are a choice of JL Audio F212 V2, F112 V2 or Dual Dominion 8’s & 10’s. On AV Receiver duty we have the Flagship Marantz AVR7011 running audyssey EQ Software. Video duties are performed by the new Oppo UDP-203 Blu-ray player. We also have a HTPC running KODI. The “Dark” home cinema demonstration room is nothing short of stunning and built to demonstrate the exceptional projection quality that can be achieved in a light controlled environment. The room is treated with front and rear Devore Acoustic panels for light reflection. Walls and remaining ceiling is painted Maraschino Mocha 2 flat matt emulsion. Lighting is I-Light controlled dimmable LED’s. We have some of the best 4K home cinema projectors available today to demonstrate. From Sony we have the VPL-VW550ES* projector and from JVC the DLA-X5500R and DLA-X9500R* projectors. From Epson we have the EH-TW7300 and EH-TW9300 projectors with the LS10500* laser projector on permanent demo. The projection screen is a Seymour Centre Stage XD 134″ diagonal 2.35:1 acoustically transparent screen with a Fidelio velvet premier frame and gives a real sense of the cinema theatre. Of course our speakers are again from MK Sound. We have 3 x MK S300’s as front left/centre/right with 4 x MK IW95’s acting as side/rear surrounds. Finally we have 4 x MK IW85 Dolby Atmos speakers in-ceiling. On video duty we again have the Oppo Blu-ray players taking centre stage with the UDP-203 and UDP-205 models. A HTPC running Kodi is also available.